KATHI APPELT, RITA WILLIAMS-GARCIA & MOGIE! Kathi Appelt and Rita Williams-Garcia and MOGIE! speaking and signing Kids, stick with us after storytime when we'll welcome two wonderful authors and one very special pup! Kathi Appelt will be here to share Mogie: The Heart of the House, the story of a real-life Labradoodle with a special talent: he always knows just what a sick kid needs. We're super lucky today because Mogie himself is making a special appearance! Also joining us is Rita Williams-Garcia, author of P. S. Be Eleven, the Coretta Scott King Award-winning novel and sequel to the bestseller and Newbery Honor Book One Crazy Summer, in which the Gaither sisters return to Brooklyn and find that changes large and small have come to their home. It's going to be so much fun! We're also going to enjoy tasty emapanadas courtesy of mmmpanadas. Yay! Kathi Appelt is the author of the Newbery Honoree, National Book Award finalist, PEN USA Literary Award-winning, and bestselling The Underneath as well as the National Book Award finalist The True Blue Scouts of Sugar Man Swamp, Keeper, and many picture books. She has two grown children and lives in Texas with her husband. Visit her at KathiAppelt.com. About Mogie: The Heart of the House: Mogie is a real-life Labradoodle with a special talent: he always knows just what a sick kid needs. One day a passel of puppies was born. Each puppy was designated for a Very Important Job, like Service Dog, or Search and Rescue Dog, or Groomed for the Show Ring Dog. Each puppy, that is, except Mogie. Mogie was a ball-chasing, tail-wagging, moon-howling pup. Not the kind of pup for any of those jobs. But there "is" a place that is just right for Mogie: a very special house where sick children and their families can stay while they undergo long-term treatment. A place with children who NEED a ball-chasing, tail-wagging, moon-howling pup. And there's one little boy in particular who needs Mogie. And Mogie is about to prove he's the best darn pooch in the passel. Based on a true story, this heartwarming picture book is published in conjunction with the Ronald McDonald House. Rita Williams-Garcia is the author of the Newbery Honor-winning novel One Crazy Summer, which was also a winner of the Coretta Scott King Award, a National Book Award finalist, the recipient of the Scott O'Dell Award for Historical Fiction, and a New York Times bestseller. She is also the author of six distinguished novels for young adults: Jumped, a National Book Award finalist; No Laughter Here, Every Time a Rainbow Dies (a Publishers Weekly Best Children's Book), and Fast Talk on a Slow Track (all ALA Best Books for Young Adults); Blue Tights; and Like Sisters on the Homefront, a Coretta Scott King Honor Book. Rita Williams-Garcia lives in Jamaica, New York, is on the faculty at the Vermont College of Fine Arts in the Writing for Children & Young Adults Program, and has two adult daughters, Stephanie and Michelle, and a son-in-law, Adam. About P.S. Be Eleven: After spending the summer in Oakland, California, with their mother and the Black Panthers, Delphine, Vonetta, and Fern arrive home with a newfound streak of independence. The sisters aren't the only ones who have changed. Now Pa has a girlfriend. Uncle Darnell returns from Vietnam a different man. But Big Ma still expects Delphine to keep her sisters in line. That's much harder now that Vonetta and Fern refuse to be bossed around. Besides her sisters, Delphine's got plenty of other things to worry about--like starting sixth grade, being the tallest girl in her class, and dreading the upcoming school dance. The one person she confides in is her mother, Cecile. Through letters, Delphine pours her heart out and receives some constant advice: to be eleven while she can. In order to have anything signed at a BookPeople event, a copy of the event book must be purchased from BookPeople. If you purchase your book from BookPeople in advance of the event, please save your receipt and present it at the event. Thank you for supporting Kathi Appelt & Rita Williams-Garcia & your local independent bookstore! Led by Greenlight bookseller and former teacher Brette, this book group is geared toward kids ages 8 to 14, and reads great contemporary and classic chapter books. Parents are welcome (but not required) to attend; pizza is served. For July the book group discusses One Crazy Summer by award-winning author Rita Williams-Garcia. Set during one of the most tumultuous years in recent American history, One Crazy Summer is the heartbreaking, funny tale of three girls who travel to Oakland, California in 1968 in search of the mother who abandoned them. It's an unforgettable story told by a distinguished author of books for children and teens. The first of our Summer Book Club series! No reservation necessary - just stop in to talk books. If you're a 4th or 5th grader this upcoming year, join us to discuss One Crazy Summer by Rita Williams-Garcia! We'll have snacks too :) At 1 PM, June 27. Second- and 3rd-graders: We'll meet at 2 PM to discuss Roland Wright, Future knight. And eat snacks. Join us for a new monthly book club focused on kids 8 to 12 years old. There will be snacks, good conversaon and you'll get a chance to meet other kids who love books! This month we're reading Leviathan by Scott Westerfeld and One Crazy Summer by Rita Williams-Garcia. Both books are available now and eligible for a 15% discount when you sign up for the new bookclub! See a bookseller for more information and to sign up. Rita Williams-Garcia's book Girl Meets Boy was available from LibraryThing Early Reviewers. Rita Williams-Garcia's book P.S. Be Eleven was available from LibraryThing Member Giveaway. 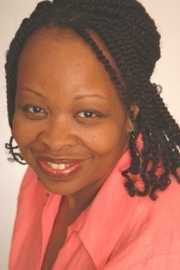 Rita Williams-Garcia is currently considered a "single author." If one or more works are by a distinct, homonymous authors, go ahead and split the author. Rita Williams-Garcia is composed of 3 names. You can examine and separate out names.